He will be great and will be called the Son of the Most High God, and the Lord God will give Him the throne of His father David. 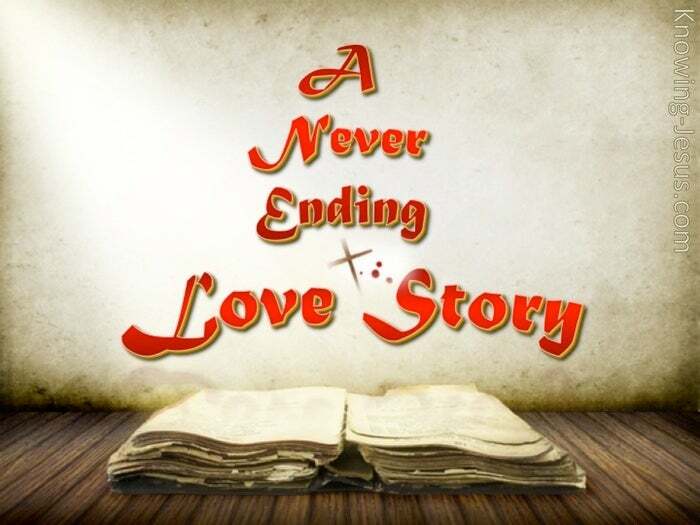 A never-ending love-story started in eternity past and continues into eternity future. It features the Creator of the universe and tells of the most high God Who loved the world so much that He purposed to give His only begotten Son to redeem the sinful race of mankind, so that all who believe on Him would not perish, but have eternal life. The central character of God’s never-ending love-story features the Lord Jesus Christ, Who is the fulfilment of the past – and the promise of the future. And at centre stage of His holy life stands an old rugged cross – as the eternal emblem of God’s love for man. It took 4000 years for God to prepare a fallen world for the advent of the Messiah, and the slowly unfolding plan of this never-ending love-story discovered righteousness and justices kissing love and grace as the eternal Creator Himself entered the universe that He made – to redeem the fallen race of man, who were in active rebellion against Him. We read that Christ Jesus came into the world to save sinners, but it required the Creator breaking into His own universe to achieve the impossible – a Man, born of a human mother, who was Son of the Most High God.. for nothing is impossible to God. It was a young virgin, called Mary, who had been chosen as God’s special vessel to give birth to this unique Person. She was told by the angel Gabriel that the Holy Spirit would come upon her, and the power of the Most High God would overshadow her; and the child Who was to be born to her, would be called—the Son of the Most High God. The angel validated His humanity – for He was the Child, Who was born of a woman. And he confirmed His deity – for He was Son of the Most High God, Who was given. The angel proclaimed His supernatural status – for He is to be King of kings.. forever. And he validated His redeeming role, for she was to call His name “Jesus“.. which means God is Salvation, and the baby was to be the holy and sinless Son of God. 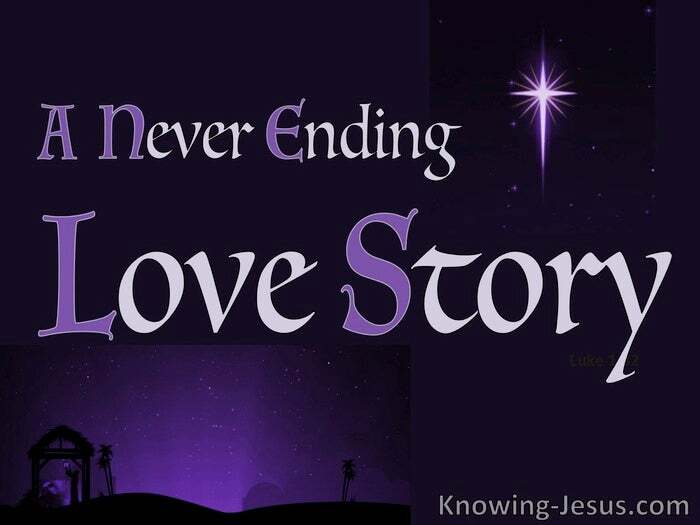 This never-ending love-story started in eternity past and continues into the eternal future and every member of the human race can feature in this romance forever – by becoming a part of the beloved bride of Christ… the Son of the Most High God.